James Corden is this year’s man with a plan on Broadway’s biggest night. The Late Late Show host has been tapped to emcee the 70th annual Tony Awards on June 12, and it’s safe to say we’re in for a show full of musicalized irrelevance, some karaoke with the stars and probably a Phantom reference or two. With a Tony, a starring role in a major movie musical and countless other theatrical accolades, Corden gets our seal of approval. Allow us to explain! 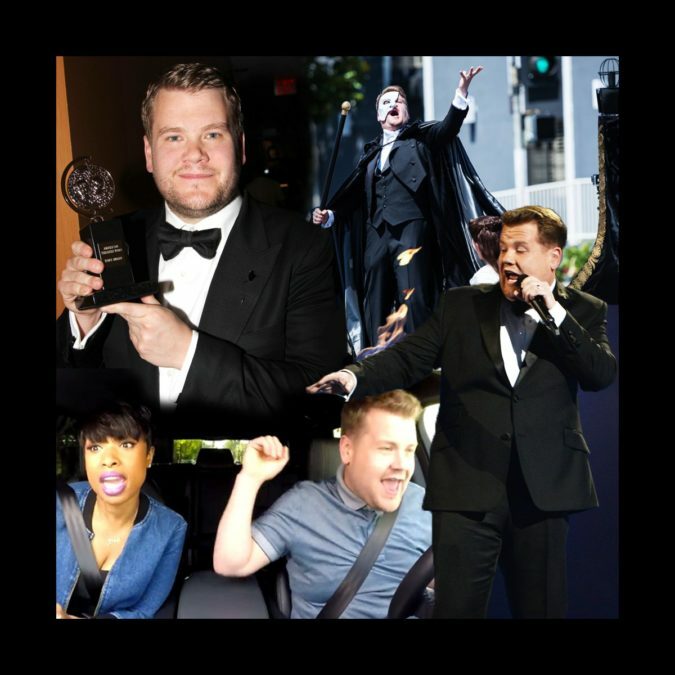 Back in 2012, Corden was on the Beacon Theatre stage for the Tony Awards, but not as a host. Instead, he was giving thanks to his “baby mama” (now wife) Julia Carey after winning for One Man, Two Guvnors. It’s about time he claims the space as his own—for a night, at least. Speaking of men with a proclivity for random pyrotechnics, Corden took the stage at the 2014 Brit Awards while literally engulfed in flames. We believe that’s called “dedication to a bit.” We know it’s a hot gig, but please don’t burn down the Beacon Theatre, Corden. We’re already dream casting Corden’s Tony Awards version of his beloved “Carpool Karaoke,” and that’s as good an excuse as any to revisit this video of him driving and belting with The Color Purple’s Jennifer Hudson. Just look at him react to J. Hud’s out-of-control riffs! Clearly, he knows what we want to hear. Also, uh, eyes on the road, please. Aside from performances from shows, the Tony Award ceremonies are replete with musical moments by the hosts, from Neil Patrick Harris with a lawn mower-clad Patti LuPone to Hugh Jackman rapping The Music Man with T.I. and LL Cool J. We have no doubt the man behind the musical adaptation of The Exorcist will bring songified zaniness to Broadway’s biggest night. Nathan Lane and Rachel Bloom can join in, too!